Full information for ProDental CPD – “it’s more than CPD” testimonial. ProDental CPD is one of the UK’s foremost providers of high quality verifiable CPD for the whole dental team. Collaborating with more than 2,000 authors, ProDentalCPD brings members high quality courses that encompass activities such as online lectures, educational videos, webinars, articles and other interactive learning aids. ProDental CPD’s guiding philosophy is one of continuous improvement and a number of partnerships, such as the collaboration with the British Association of Dental Nurses (BADN), ensure that learning resources are relevant and beneficial. 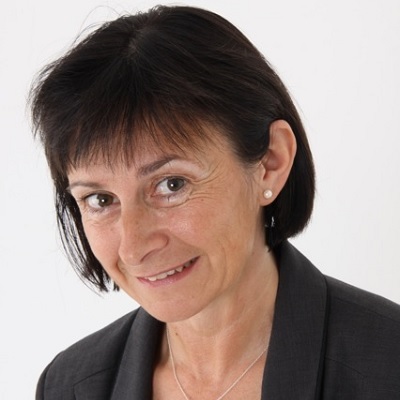 Fiona Ellwood is a BADN member and senior lecturer/adviser in oral health education and preventative programmes, and clearly supports how ProDentalCPD strives to keep abreast of new developments in dentistry. ProDental CPD features many hours of peer-reviewed verifiable CPD (including all CORE CPD) in text, video and audio formats. “I think there is a wide selection of appropriate modules for the whole team and more,” says Fiona. ProDental CPD gives users unlimited access to the largest online collection of verifiable CPD in the UK from some of the most renowned names in dentistry. Not only this, but every dental professional can benefit from e-learning with ProDental CPD as the modules are tailored to dentists, nurses, hygienists, therapists, technicians and practice managers.